Catalog Page 28. Custom 8" teddy bears. 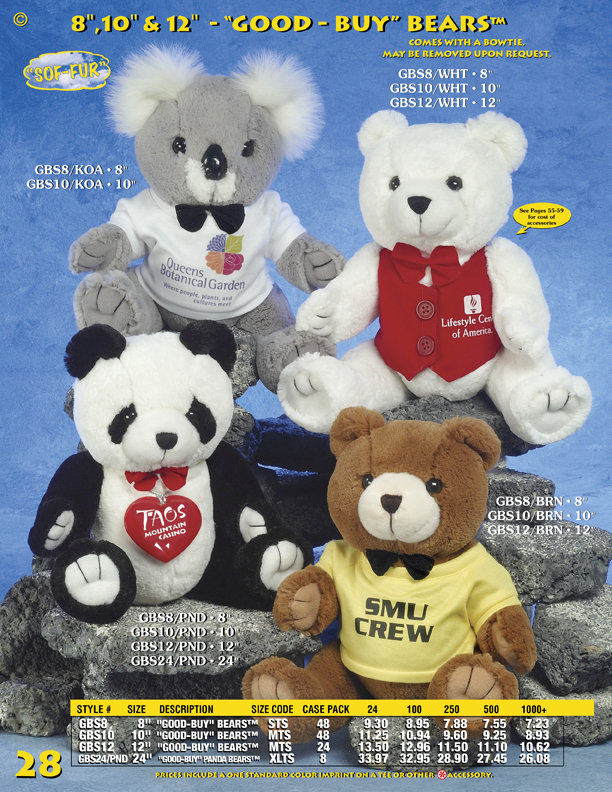 Personalized 10" panda bears. Customized bears.